I think, Federal Ministry of Economy and Technology, aimed to explain how to be an "Energy-Efficient" with that simulation. 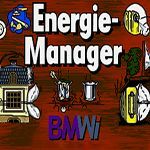 bugravarol wrote I think, Federal Ministry of Economy and Technology, aimed to explain how to be an "Energy-Efficient" with that simulation. That´s right! You played it too? So, in what way are these cars playable? Do you get to drive them? ItsaUserName wrote So, in what way are these cars playable? Do you get to drive them? Later you have to do delivery rides with them. Not yet. But i understood gameplay or scenario of this simulation. You also translated the publisher correctly! You speak the german language? Umm, nein Victor. I'm sorry, Google Translate service helps me. Merhaba bugravarol! That was my second guess. Ahh, that guess is true pal. Danke schön!! I'm just here on IGCD.net since June 2008, pal. I meant according to our ages, ´cause you wrote in your profile that you are an old gamer! I am a member of IGCD since August 2012. Welcome home, bud. Enjoy here! Thanks, with members like you I already do!